One of the most commonly asked questions when deciding whether to get a tattoo is 'will it hurt?' The answer is plain and simple- yes. There really is no painless way to stick needles into your skin in order to leave a permanent mark. In general, areas of the body that have fewer nerve endings, more fat, and thicker skin will be less painful than patches that have thin skin and little fat to act as a cushion. 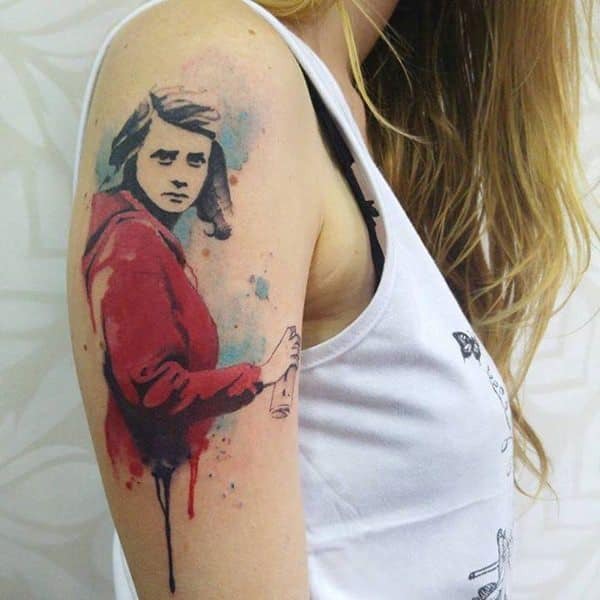 This is why the spot that you choose for your tattoo is so important. One of the best places to get your first tattoo if you’re afraid of the pain, is on your upper outer thigh. That is because this section on the body has a good layer of fat with very few nerve endings. Having a tattoo on the upper outer thigh has extra benefits. For example, it is easy to hide a tattoo on your thigh, therefore ideal for people who need to cover their tattoos for work or other reasons. 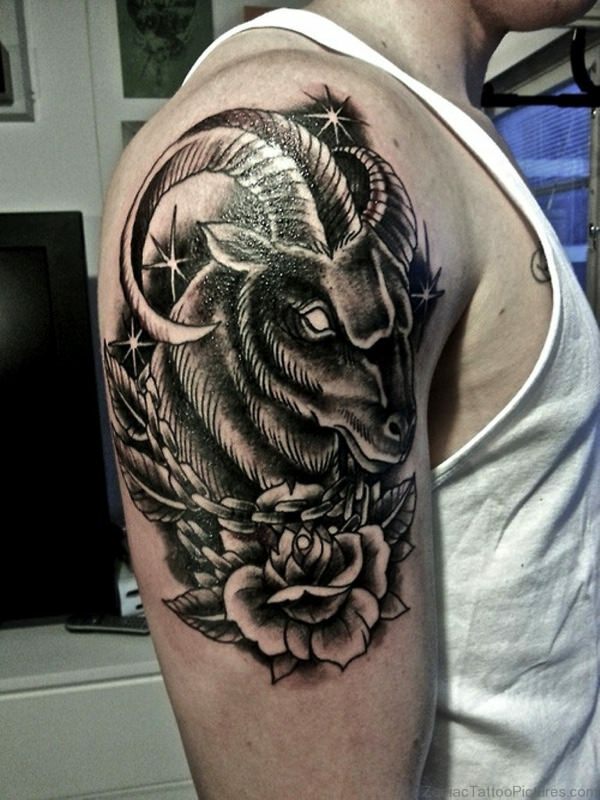 Also, it’s a fairly large part of the body, which is perfect if your tattoo design is of considerable size, and you don't want to have to compromise on your work of art due to concerns about the pain. 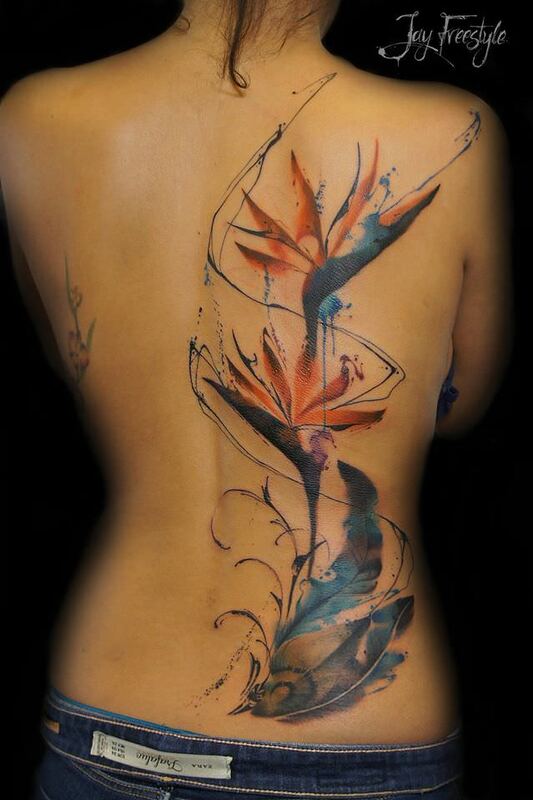 The most popular area on the body for tattoos, especially first tattoos, is the outer/rear shoulder area. It is one of the least painful places to get tattooed because there are not a lot of nerve endings here and the skin is thick, so the scratching of the needle doesn’t hurt as much. 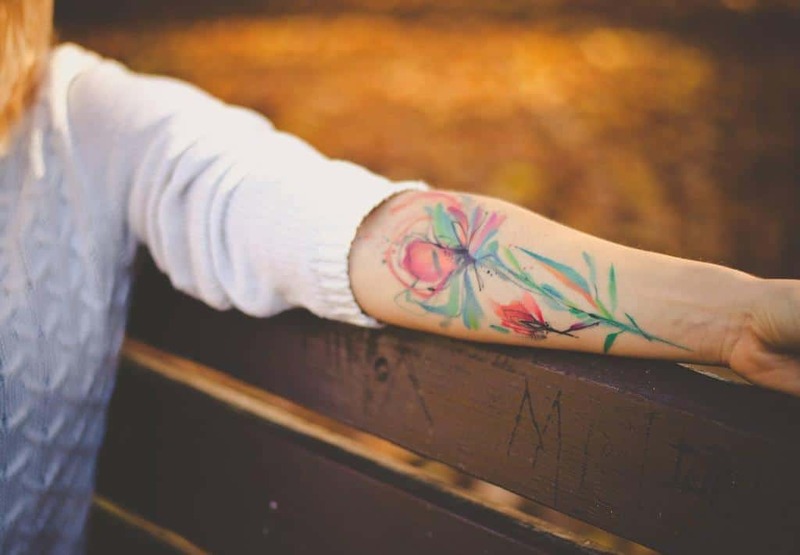 The forearm is a great spot for your first tattoo as it has a lot of muscle and thick skin, but not a lot of nerve endings, meaning it’s relatively pain free. It’s an ideal location for mid-size tattoos with intricate designs, on the grounds that it won’t be as painful when the tattoo artist has to fill in a lot of small details. Just like the shoulders, the upper and lower back are favourite locations to get tattooed. The back is one of the largest parts of the body, so people like to get permanently inked there as it gives them a generous-sized canvas to work with. When it comes to pain, the amount that you feel during your tattoo will vary depending on how close the tattoo is to your spine and hips. This is because there are more nerve endings present in these areas, resulting in a more painful experience. Secondly, the pain felt can differ greatly depending on your shape and size. For example, a curvier person is more likely to have more fat on their lower back than someone with a slimmer build. Therefore, if you are thinner, you can expect to feel more pain as the needle will meet less resistance as it moves closer to the bone. Calf tattoos are perfect for first timers, making them one of the most popular areas to get a tattoo. The calf area has almost no nerve endings and lots of fat and muscle, so getting a tattoo on your calf is a piece of cake when compared to being tattooed on your ankle, for example. 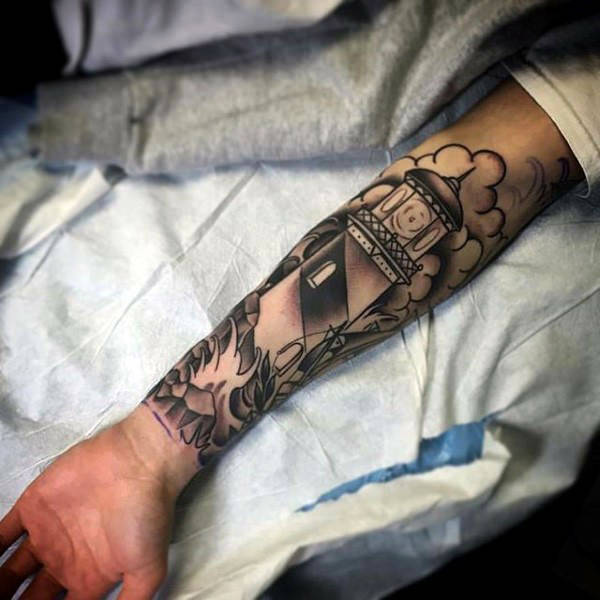 The calf is yet another area of the body that has a large smooth surface, therefore, it is a good place to get larger designed tattoos, or tattoos that have a lot of detail. Considering the fact that you won't feel as much pain here if the artists needs to stop and start to get the detail right, or go over the design more than once. If you want a tattoo that will be easy to show off, the outer bicep is a highly visible area (if you’re not wearing a long sleeve shirt, of course!) The bonus is- there is a lot of muscle in this area, resulting in a far less painful experience. Still worried about the pain of getting a tattoo? Fear not. After the tattoo artist begins the tattoo, your body will naturally try to reduce the pain that you are feeling. Your brain will start producing endorphins, which are the same thing that make you feel great after exercising. As those endorphins flood your body you will feel the pain less and less. On the contrary, if you’re getting a large tattoo or sitting for several hours in the tattoo chair your brain will eventually stop producing endorphins. Therefore, it may be wise to see about getting a small or smaller tattoo, if the thought of the pain is troubling you, and especially if this is your first. Nobody can be truly sure of what to expect until they are in the chair themselves, dealing with the penetrating needle. Some people would love to have a stiff drink or two before going to get a tattoo because they think the alcohol will numb them and make the tattoo hurt less. The reality is quite the opposite. Drinking before getting a tattoo is a bad idea and can be downright dangerous. When you drink, the alcohol thins your blood, meaning that you will bleed more during the tattoo. 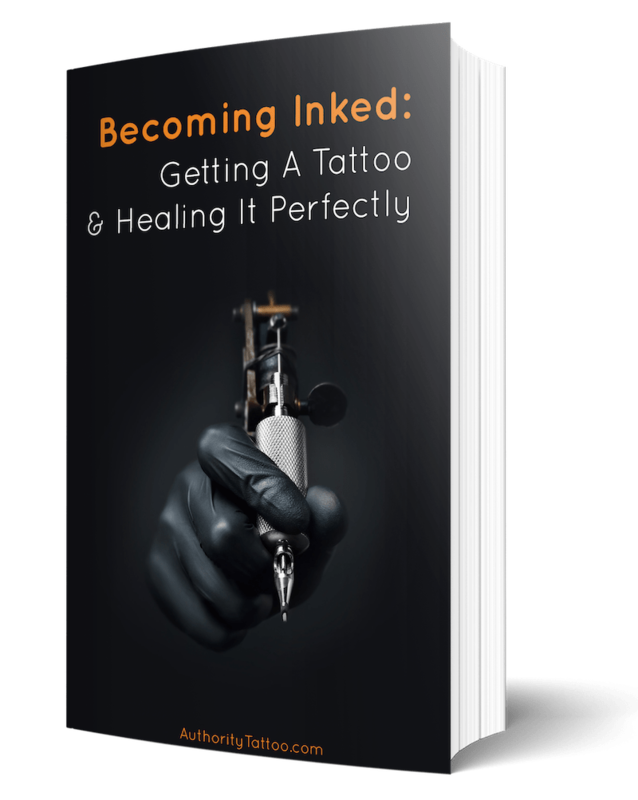 In addition, the pain will endured will be much greater due to the fact that your skin might not take the ink well, as a result of the excessive bleeding. This could lead to a horrid looking tattoo. The more hydrated you are, the healthier your skin will be, and the better the ink will take. Tattoo artists advise that you start drinking water at least 24 hours in advance of your tattoo and drink water regularly right up until your tattoo session starts. This will also result in a less painful experience. When you haven’t had enough sleep, your body is very sensitive to external stimuli. This is why you find sunlight difficult to deal with or cold intolerable when you’re tired. Heading into a tattoo session when you’re exhausted will make the tattoo seem a lot more painful and you’ll have a harder time sitting still for the tattoo. While it’s always exciting to get a new tattoo, you should be sure that you get a full night’s sleep before your appointment. Or at the very least get a quick nap in before your appointment. Just like tiredness, feeling hungry will make you feel the pain more intensely as well. You should never eat immediately before the tattoo appointment, but make sure that you have a full meal two to three hours before your session begins. Plus, it's worth making sure that your meal contains some carbs. Carbohydrates release their energy slower than any other food group. The slower the carbs release their energy, the more stable and sustainable energy levels of the body. If you choose to get a tattoo in a painful area, or if you are having trouble handling the pain, tell your artist and ask for a break. The break shouldn’t be too long as that will cause the tattooed area to swell making it difficult to continue. However, a quick break for a snack and some juice will boost your blood glucose levels and help you manage pain. That may be all you need to get through the remainder of the session. If you are finding the pain difficult to deal with or you need to shift your position, tell your artist. Your tattoo professional wants you to be comfortable and relaxed so that they can create a fantastic piece of art for your body. Don’t be afraid to communicate openly with them and say exactly what you need. After all, they would rather know than mess it up because you are too fidgety. 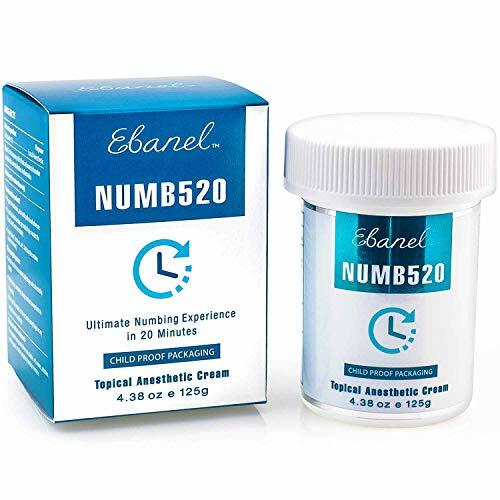 There are many numbing products on the market that are suitable for use on tattoos. However, results may vary.